The best from SPANX just got better! Lightweight, all-day shaping that's center-seam free -the Higher Power Short was reformulated using softer yarns and offering smoother results with less squeeze. We designed it to be your most comfortable, everyday essential! 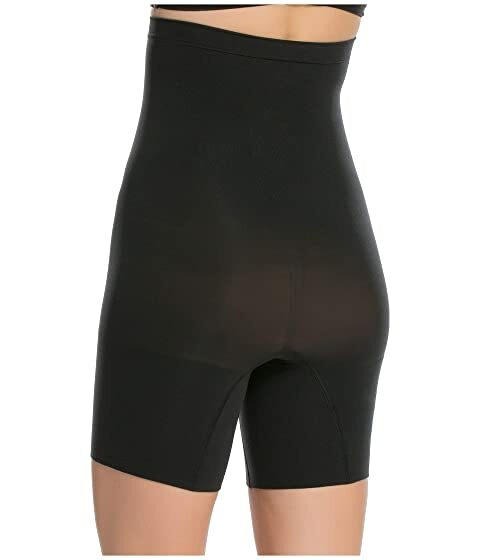 Wear this full-coverage shaper as underwear for all day, comfortable control. Seamless yarns for ultimate stretch and recovery . Shaping zones target the stomach and provide 360° of support with gradual release for comfort and movement.